Absolutely obsessed with these candles, I have over a dozen of them. They smell amazing, burn for a long time, and are absolutely gorgeous. I’ve always wanted to have bath bombs, but I’m allergic to fragrances so they seem like a bad idea. But! You’re probably not allergic, nor is your bookish friend, so I’m sure they’d love them. I give the same reasons as above. 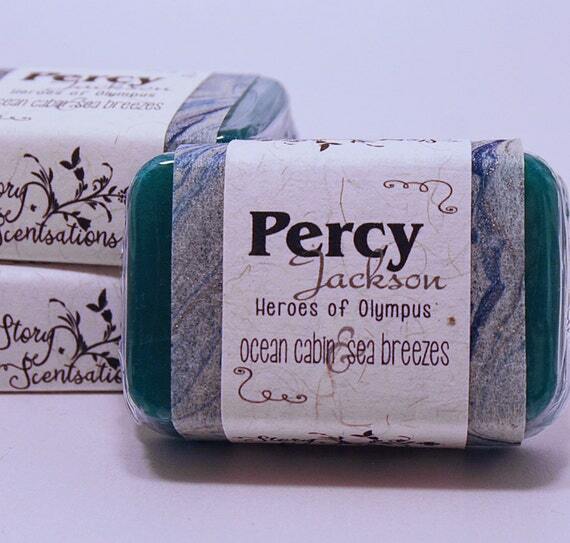 Plus… Who doesn’t want to be washed by Percy soap? Haha. Who doesn’t need a set of wand makeup brushes in their lives? I hope you guys enjoyed reading this little bookish bath and body gift guide – did you get any good ideas? Did I totally forget a shop or item type? Almost definitely. But let me know in the comments! I’m obsessed with all of the makeup brushes from Storybook Cosmetics! Especially their rose brushes! So pretty.